Every tack shop out there touts a saddle trial policy these days. They use terms like “free trial” or “ride before you buy”. Further investigation shows that you can ride in the saddle with fittings if you wrap them in socks or cellophane, or that you can “ride in the saddle for 10 minutes max” to determine if it is going to fit for you and your horse. This is where our experience as saddle fitting experts comes in. At Trumbull Mt. Tack Shop we don’t believe you can tell if a saddle is right for you if your fittings have bulk wrapped around them, and we don’t think anyone can determine if a saddle is going to work after a mere ten minutes of riding. Our trial policy is realistic and risk free. Simply call us at 800.442.9672 in Vermont. Tell us which saddle you would like to try. Our trial ride applies to ANY new or used saddle we have…we don’t restrict you to a few odd demo saddles from each line. We are currently shipping through USPS. Prices vary but we can give you an estimate by plugging in your info. When you receive the saddle feel free to put your fittings on it. Go ahead and girth it up, use your favorite leathers and irons…and don’t bother wrapping them in socks or cellophane. Trumbull Mt Tack Shop does not feel you can appreciate how a saddle really rides with a bunch of unnecessary bulk under your legs. We understand our saddle’s flaps will get a few scuffs during your trial ride, but we feel it’s worth it for our customers to be able to try a new saddle under realistic conditions. Finally, ride in our saddle for a full week…that’s right, 7 days. Take it out for an afternoon’s hack, jump some fences in it, take a lesson with your trainer. At the end of a week give us a call and let us know if it’s going to work for you. 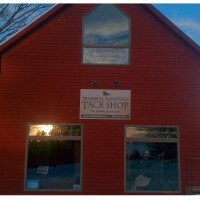 Try your next saddle from Trumbull Mt Tack Shop…home of the most comprehensive, risk free trial ride policy in the industry. Please plan your trial period so you know that you will have adequate time to test ride the saddle; if it doesn’t work for any reason, please have the saddle on its way back to us by the end of the seven day trial period. 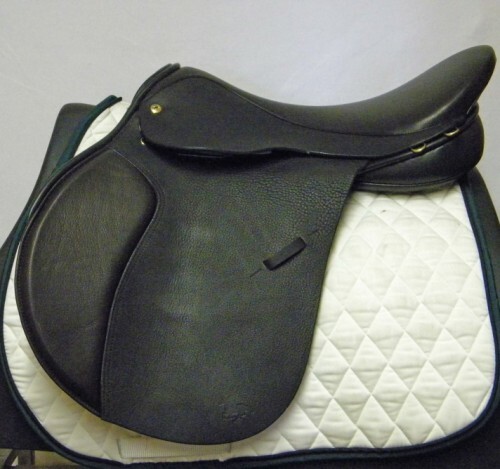 Please phone or email us to let us know whether you are keeping or returning the saddle. If we do not hear from you at the end of a week, we will assume that you are keeping the saddle and we will charge your card accordingly. * If you do not call us, and we pay the consignor, we cannot refund your money. If you have a scheduling problem, call if you need an extension of time!!!! If you are shipping the saddles back to us, please use the original packing. If you feel you need to add more cushioning, please use an old towel, or plastic garbage bags. PLEASE! PLEASE do not use ‘peanuts’; they make a major mess! We suggest that you save the box that the saddles were shipped in, and use it to return the saddle to us. Please save the tags and return them also. AND!!! Strange as it may seem….many people don’t put their NAMES in the box…so we have to be detectives to figure out WHO needs to receive credit for the return. Please make sure your name is enclosed! Thank you for letting us help you find the perfect saddle! 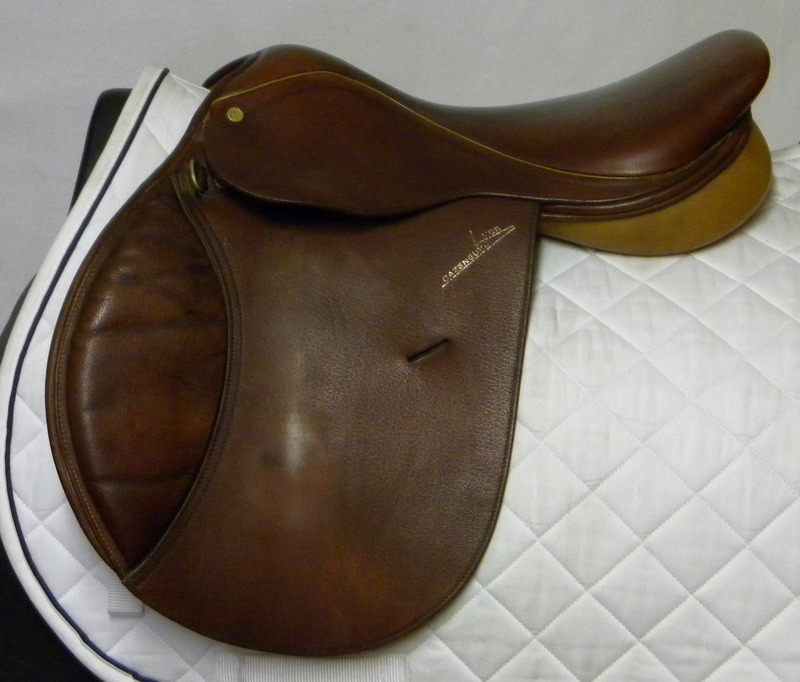 You may return your saddle via USPS, UPS, FedEx or DHL; however it is easiest for you. * Saddles purchased and then returned after the trial policy incur a 20% restock fee.